Satirical look/critique on a broad array of topics with main focus on nostalgic hip-hop, music in general, film and television. The School's IN Bunch (begrudgingly) reviews the latest 21 Savage album, I am>I was...... This CANNOT go well......but...... JOIN US, ANYWAY!!!! Happy 100th Episode!!! The School's IN Bunch continue our month long album review thematic unit with Quelle Chris's album, Being You is Great, I Wish I Could Be You More Often. Join us!!! The School's IN Bunch continues our album review month by reviewing the Dreezy album, Big Dreezy. Join us!!! The School's IN Bunch spends so time in DETENTION reviewing the Dave East/Styles P album, Beloved. Detention gets a bit RAW(er) than NORMAL, but.... Join us ANYWAY!!!! 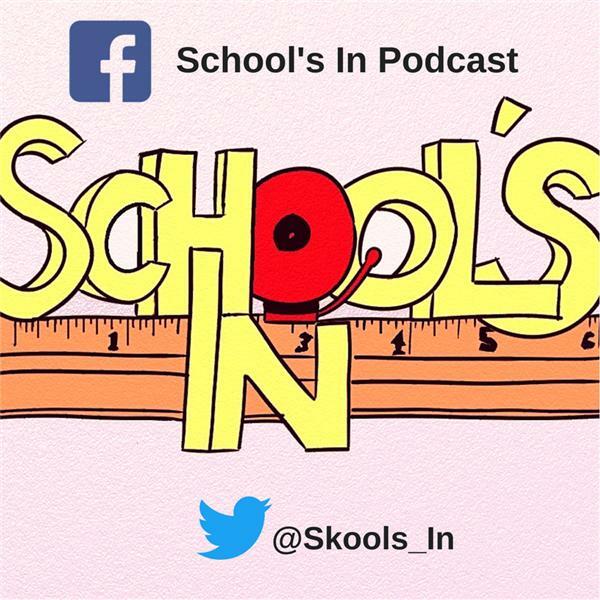 The School's In Bunch discuss and rate the album, Laila's Wisdom by Rapsody. Join us!!! The Album Review Show: Lupe Fiasco's "DROGAS Wave"
The School's IN Bunch discuss the NOW popular topic of Narcissism, WHY we think it's become so pervasive in society, the different behaviors surrounding it and how to combat it. This one is going to get THICK..... JOIN US!! !